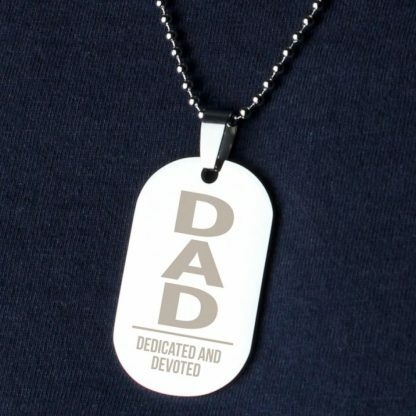 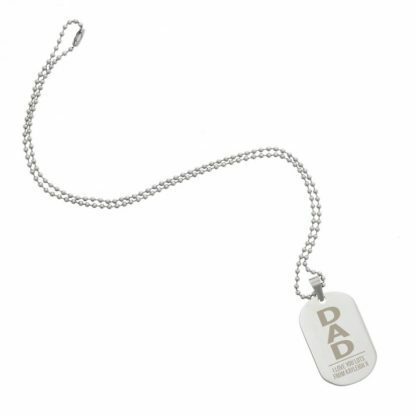 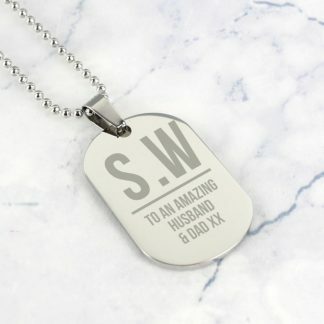 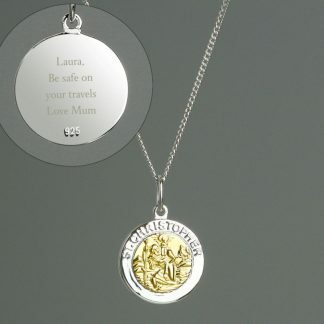 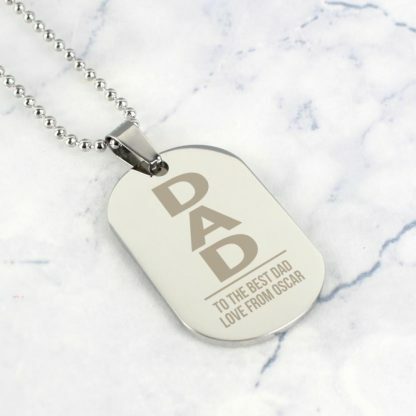 Our Personalised Dad Dog Tag Necklace is the perfect keepsake for Dad, whatever the occasion. 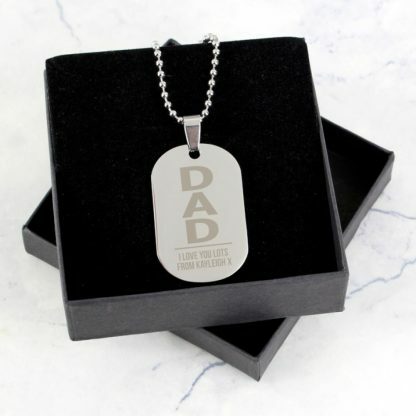 The word 'Dad' is fixed text and part of the design. 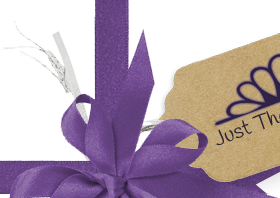 Birthdays, Christmas, Christenings, Celebrating the birth of a New Born.